As Seth Meyers and his BFF Amy Poehler would say, Really, NBC? Really?! The Emmy’s on a Monday? Sigh. Look, I work until 6:00 and don’t get home until about 6:30 (okay, 6:20, but still). Then there’s the whole making, eating, and cleaning dinner business. I need to be able to watch my red carpet at 4:00 and my awards shows at 5:00 in order to have time to gather my snark. Plus I get up at 5AM. Last night at 10:00 by the time (spoiler alert) Breaking Bad won best drama (Yay!) I was fighting to keep my eyes open. I might have snored a little. Or drooled. to va-va voom stunning when she’s 53. I really liked Allison Janney’s dress, but was that velvet? In August? She’s lucky it wasn’t 100 degrees yesterday. I will forgive the faux pas because she looked smokin’. I did not like Julianna Margulies’ hair at all. It was pulled way too tight and made her ears look elfy. Her dress was fine, but she is too skinny. Please Julianna, the Emmy’s are over now. Go eat a meal. Michelle Dockery looked regal, graceful, stunning. A true Lady, indeed. Marley did not like Kaley Cuoco- hair, but I did. And I did not love her dress last year, but this year it was one of my favorites. I’m not sure how I feel about Anna Gunn’s dress. I want to love it, but I don’t quite love it. (And I LOVED her dress last year.) I do love the color, so let’s say I like it. Plus she looked awesome. And I’m so glad she won again. She deserved it. 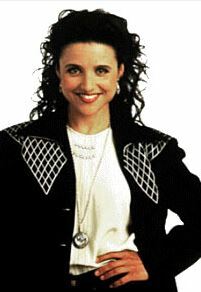 She was A-MAZ-ING in her final season. Amazing. And speaking of missing the mark, this dress? Uh, no! 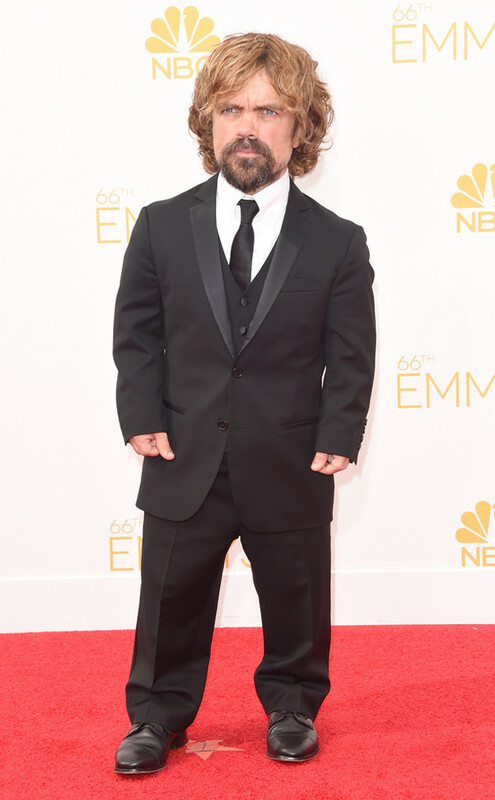 And was it just me or did Peter Dinklage look really pissed that Aaron Paul won for best supporting actor? Like, really, really pissed. Sorry Peter, you were awesome this season, Game of Thrones was awesome this season, but this was Breaking Bad’s year. I’d love to know, what did you love or hate about the Emmy’s or Emmy’s’ fashion this year? I am embarrassed to admit that I watched something yesterday afternoon that I had backed up on my DVR and a commercial in it talked about the EMMYS being “tomorrow”. So yeah. I thought they were today. Dang my lame entertainment knowledge! So, thanks for the snarky overview. Now I don’t have to feel bad that I didn’t watch the real thing. I always adore your snarky award posts, dear. I agree w/ you on many of these observations, too. Are you serious? How does one get BETTER with age. DAMNHERDAMNHER. BEST dressed, in my opinion, Halle Berry. That stunning woman can do no wrong.